Maurizio Sarri hailed Callum Hudson-Odoi and Ruben Loftus-Cheek after Chelsea’s win against Brighton but insisted he was always “sure” they would deliver. Hudson-Odoi, making his first Premier League start, set up the opening goal for Olivier Giroud at Stamford Bridge, where the Blues won 3-0. Eden Hazard scored the second and Loftus-Cheek – selected after a long spell plagued by back trouble – capped the victory with a fine strike. Head coach Sarri praised both youngsters and also singled out Andreas Christensen, who had a solid game at the heart of the defence. “Callum is ready to play in every match. He played very well and I am really very happy with him,” Sarri said. “Loftus for the first time this season is without this problem in his back. He played very well and scored a wonderful goal. “And I have to say, we are talking about Ruben and Callum, but I was impressed by the performance of Christensen. 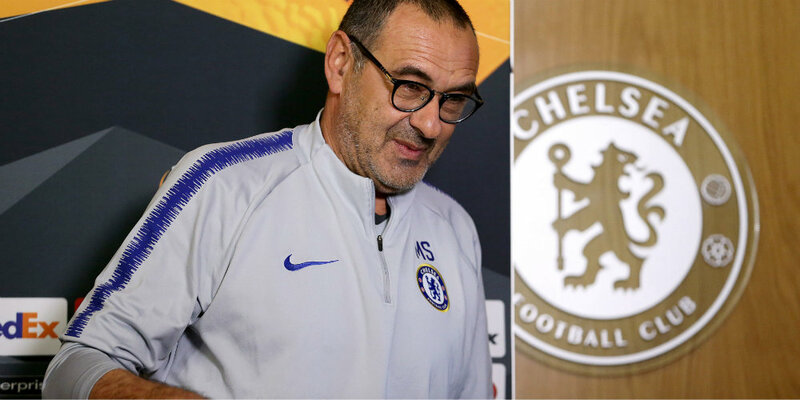 Sarri has faced criticism from fans, many of whom have been calling for Hudson-Odoi to get more game time. The Italian praised the home crowd for their backing of the team, describing the atmosphere at the Bridge as “wonderful”. The win moved Chelsea up to fifth in the table and was a major boost in their pursuit of a top-four finish.